A super simple, memorial day weekend dessert! 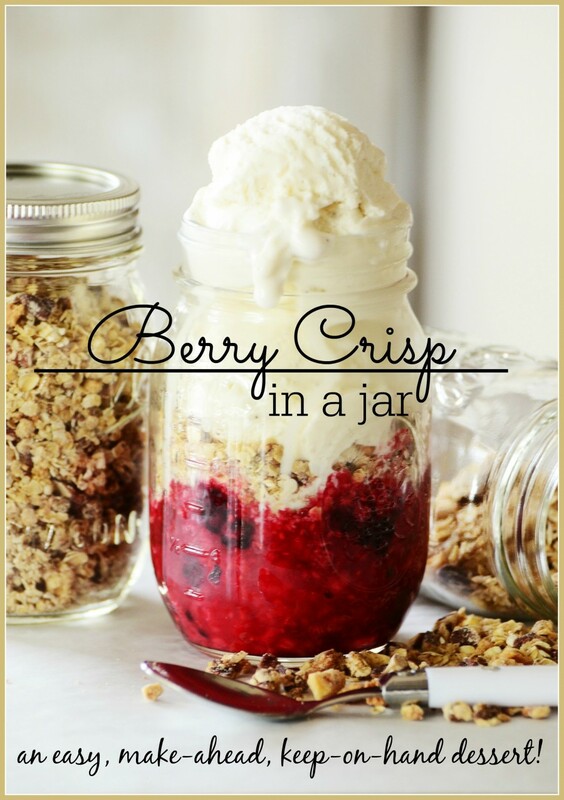 BERRY CRISP IN A JAR is a great way to start the summer! YUMMY! 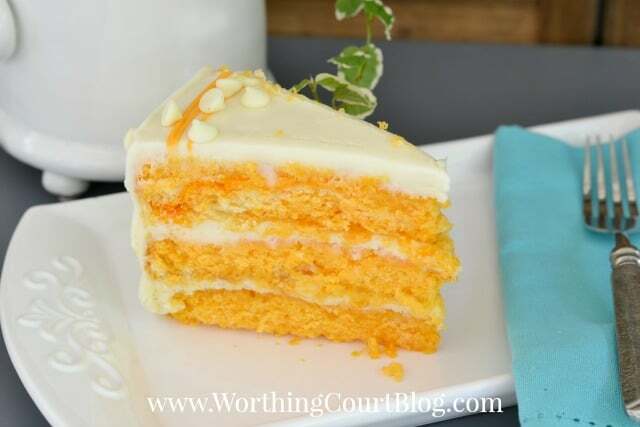 To get the recipe click HERE. 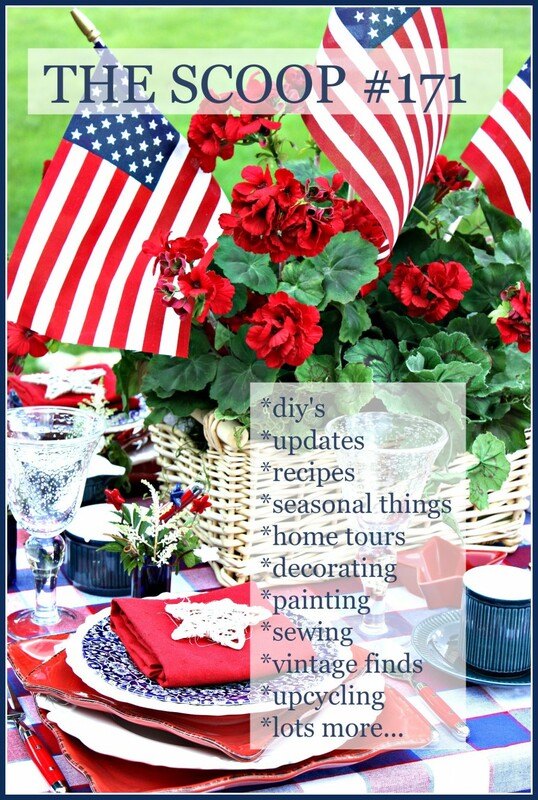 If you would like 10 IEAS FOR A GREAT MEMORIAL DAY, like the red, white and blue tablescape above click HERE. Hi everyone! It’s always such an honor for me when I get to be your host. We’re so glad that you’ve chosen to take time out of your busy schedule to come party with us! 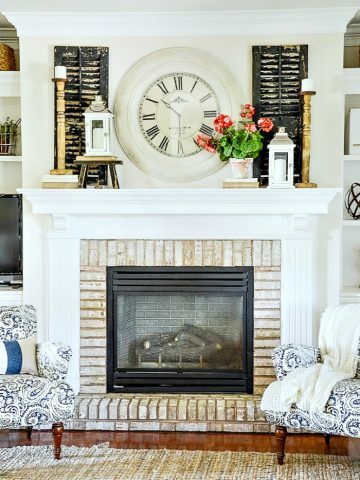 This link party is always filled to the brim with inspiring ideas and projects. Did you happen to catch my post from the other day where I was asking for help in my office? If not, I sure would appreciate it if you would stop by and give me your suggestions. I’ve already received several good ones, but am still looking for more! Now, let’s catch up and see what you’ve been up to! 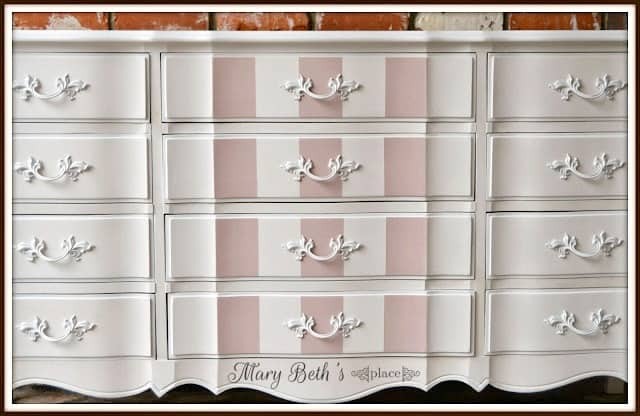 Beth from Mary Beth’s Place gave a traditional French Provencal dresser a pretty makeover. Love the soft pink stripes! 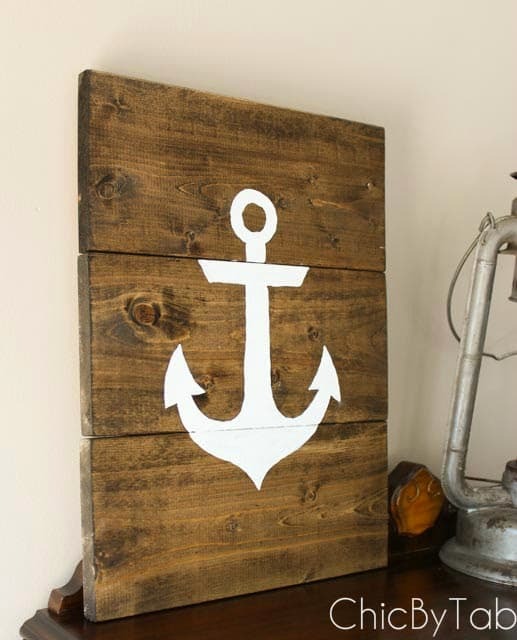 Tabatha from Chic By Tab shared a cute anchor sign that has summer written all over it. She gives directions so that you can make one too! 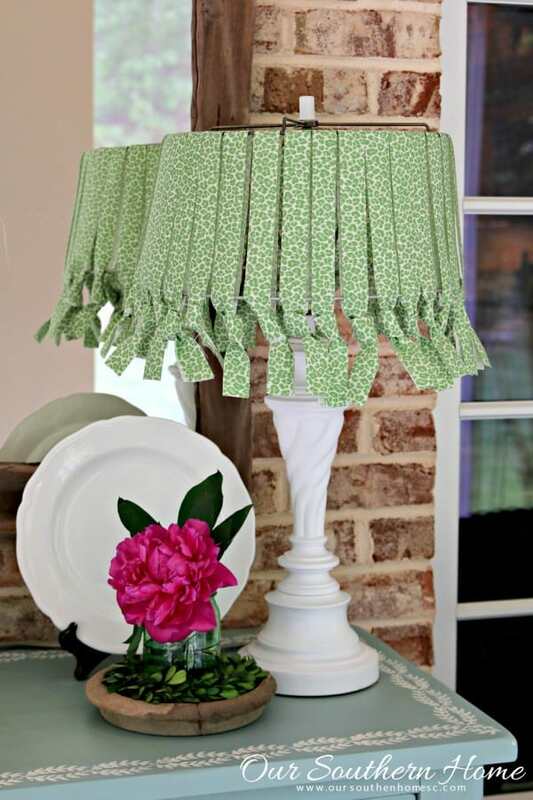 Christy from Our Southern Home made an uber cute lampshade for her porch. 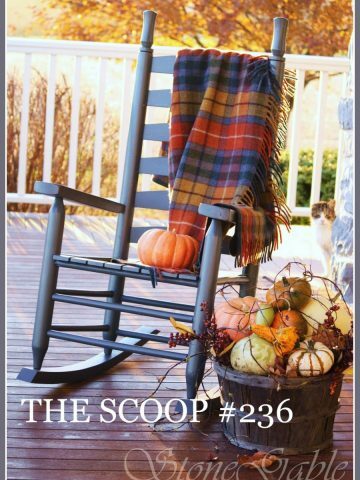 It’s no-sew too! 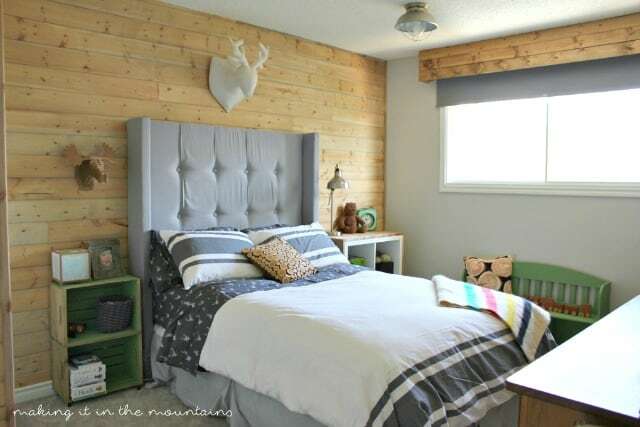 Kristi from Making It In The Mountains revealed her adorable rustic boys bedroom makeover. 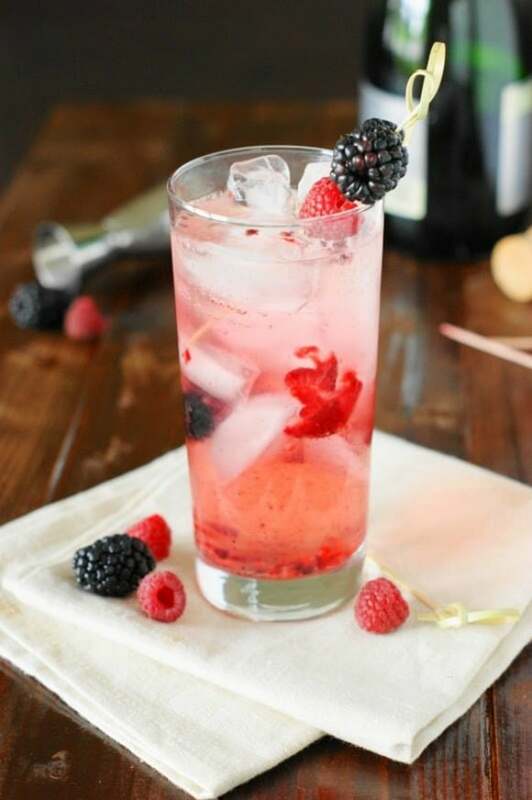 Tracey from The Kitchen Is My Playground shares her recipe for a champagne cobbler cocktail that looks so refreshing for those hot summer days. love the tip on the strawberries and the Crispy Roasted Sweet Potatoes with Lime and Cilantro. As always I love your shares. Thank you for making my life have a little flair with your tips. 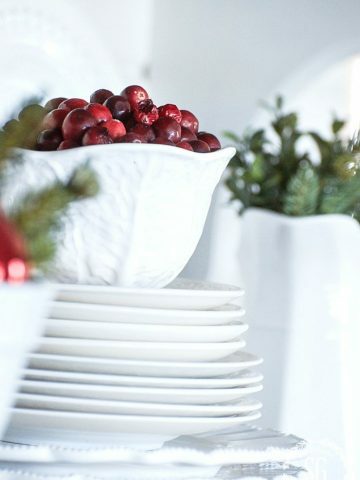 Thanks for hosting ladies and I wish you a happy and relaxing holiday weekend! Thank you Yvonne. Love all the ideas! As always.. thank you.. so many great ideas.. I don’t know where to start.. but why not with desert!! YUM!!!!!!!! 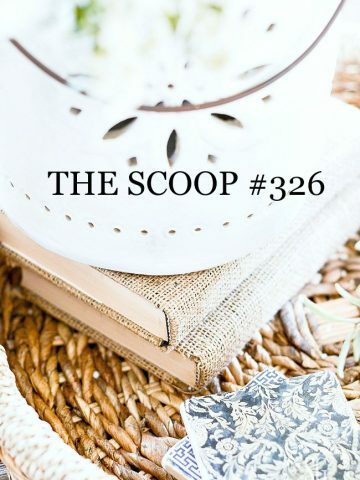 Thank you for the feature Yvonne! Love coming by every week. 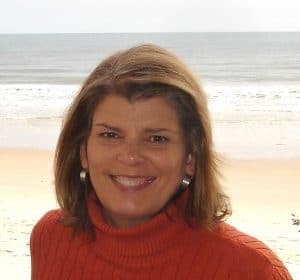 Yvonne, thank you for hosting! Thanks for hosting another great party. I see lots of interesting links. 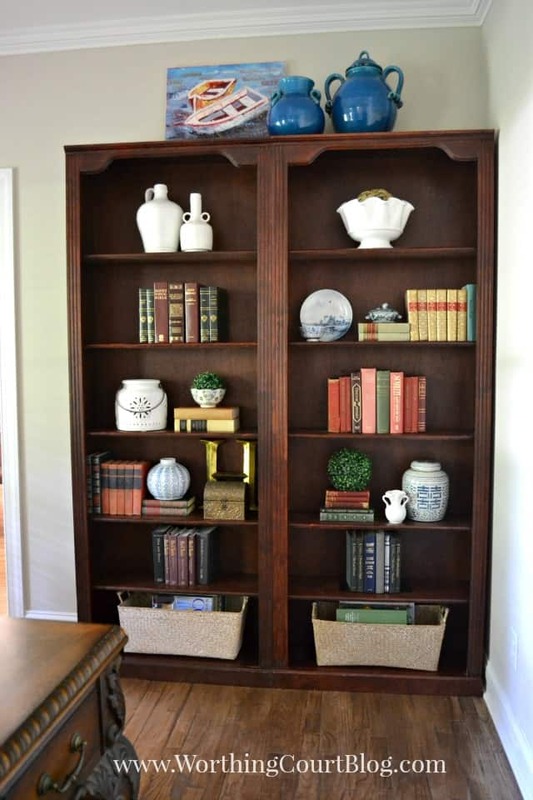 Love Worthington Court’s bookshelves! Thanks for hosting Yvonne and Suzy~I’ve got to make that Creamsicle cake! Me too, Jenna! Doesn’t that sound amazing? Another lovely party – thanks so much. Thanks so much for hosting another fun party, Yvonne!